With the recent release of BlogrCart Plus responsive e-commerce Blogger blogspot template with shopping cart and dual checkout options (Paypal and send order via e-mail), here is the tutorial and available settings that comes included with the shopping cart template. Paypal has been one of the leading "virtual wallet" providing SECURED and SAFE on-line transactions via the internet. Setting up the right currency for your shopping cart blogger template should be considered in-line with Payal current (and growing) currency list for transactions. 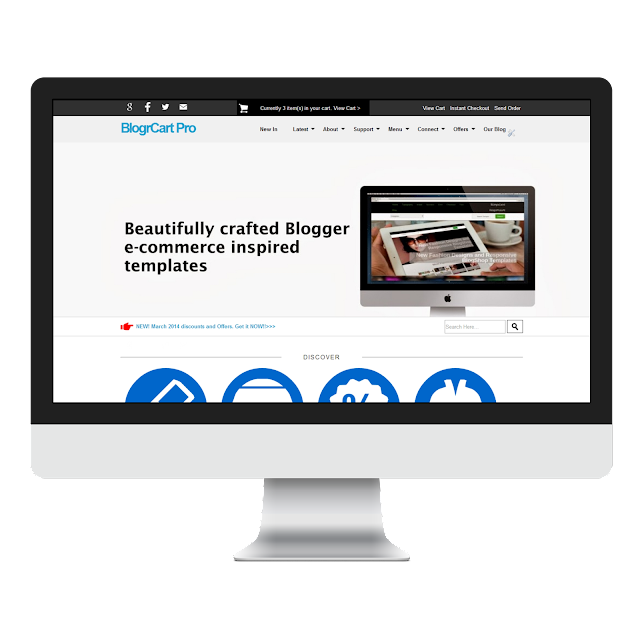 Upon download and installation of BlogrCart Plus blogger template, the default shopping cart settings are in Ringgit Malaysia (MYR). You can customize the shopping cart currency settings using short codes which has already been built in by the developers of simpleCartjs - Wojo Designs. 21 shopping cart currency settings have been pre-installed, which most of the listed currencies can be used with Paypal. Please refer paypal.com for the full list of currencies made available in order to activate your shopping cart + Paypal checkout feature. Note: Include your preferred currency short codes by country of choice as listed in the above. The example is using USD (US Dollar) as the shopping cart currency setting. Do not forget to change the currencies of choice for your e-mail send order checkout settings too! These settings can also be applied to our growing e-commerce Blogger blogspot template, currently available for download. Find it here in our blog!